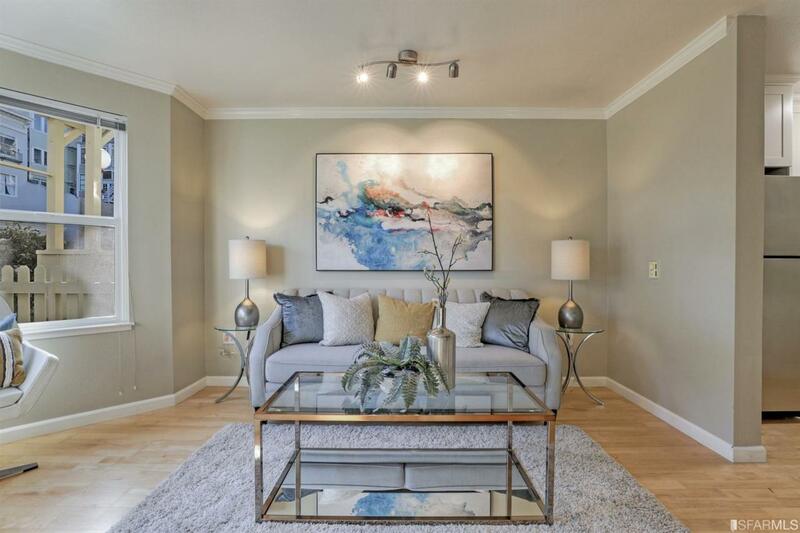 Situated right beside the historic Alamo Square, this lovely condo features open floor plan with bountiful natural light from its south-facing bay windows with a corner view of the park. 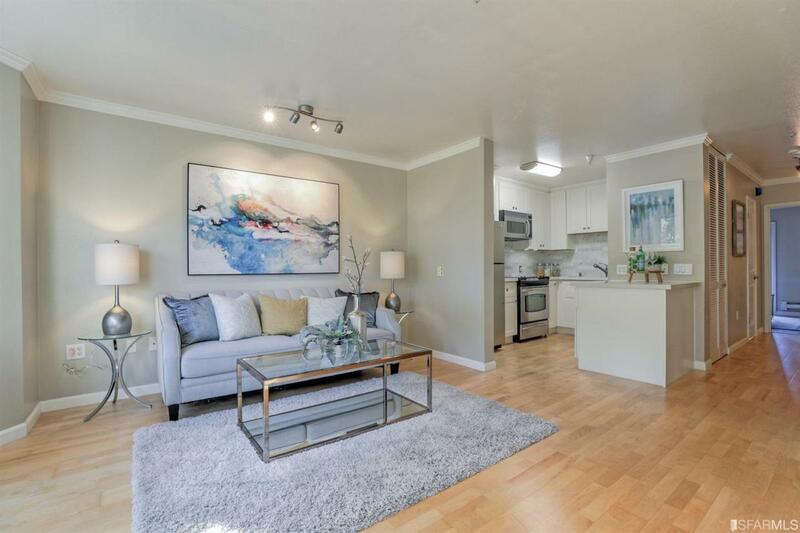 Hardwood floor throughout, newly updated kitchen with stainless steel appliances and breakfast island. Washer/dryer in unit. An extra office/ nursery space sit beside the dining area. Spacious en-suite bedroom w/ ample closet space, and a rear patio leads to a resort-like courtyard w/water fountain & BBQ area. Deeded one parking space. 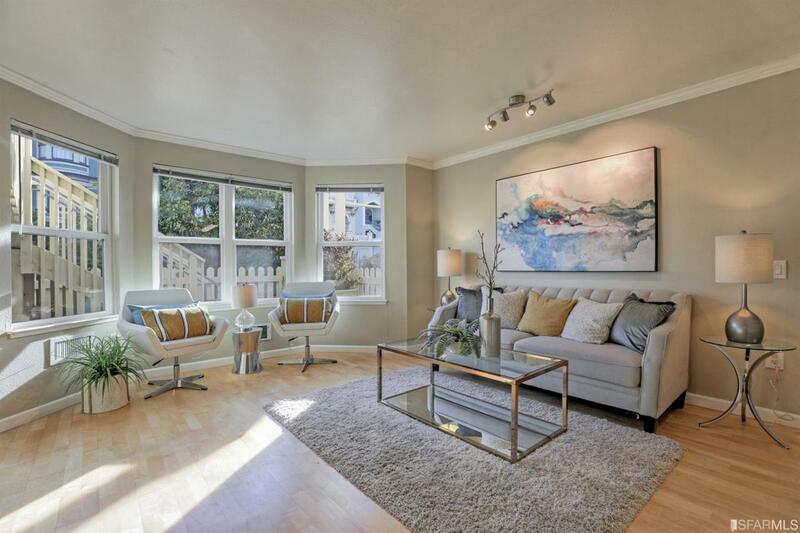 Centrally located near Hayes Valley, Fillmore District, Lower Haight and Divisadero corridor with the hippest restaurants and cafes just around the corner. Walk score of 94. 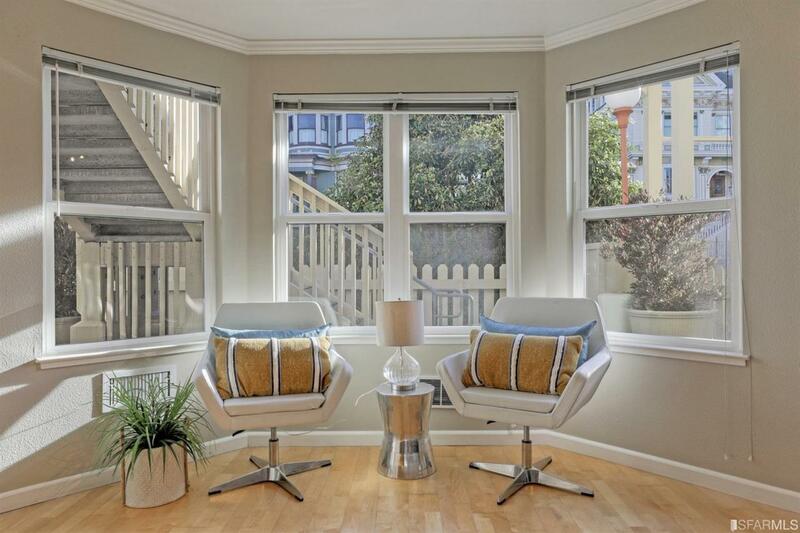 Endless public transit options, walk to corporate shuttles, 5-minute drive to the freeway. Listing provided courtesy of Danni Zhao of Century 21 Realty Alliance Fine Homes And Estates.